Applications: All rooms with a total size of up to 2,000 cubic meters and stringent requirements for dust-free room air. 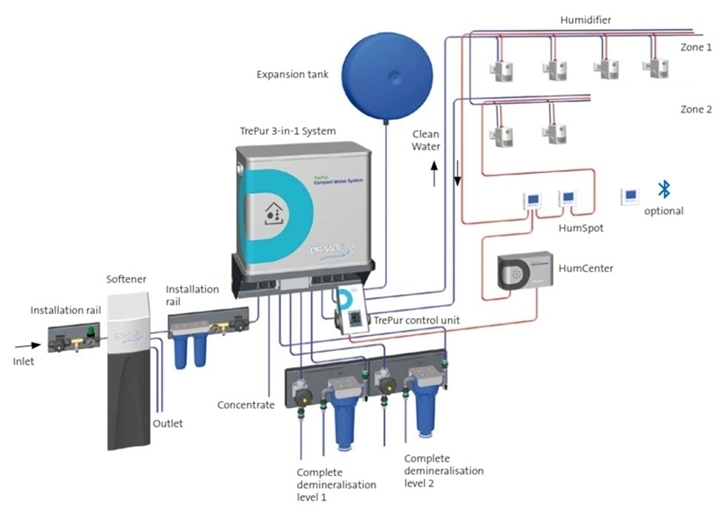 The complete system TrePur is an all-inclusive package consisting of the compact system TrePur, high-pressure humidifiers and digital control units. 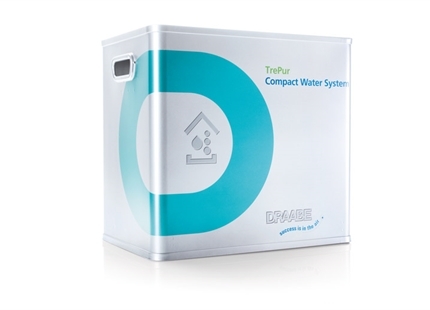 Housed in a portable, small container, the compact system TrePur offers water purification, high-pressure pulsation and conductance synthesis in a single unit with a max. output of 10 kg/h. Optimised energy consumption and maximum health protection are guaranteed with the full-service maintenance model. 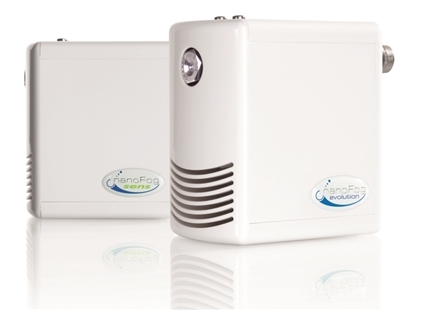 The 3-in-1 compact TrePur system can supply up to six humidifiers. As an complete rental package, TrePur is offered with the NanoFog Evolution or NanoFog Sens humidification system and the DRAABE HumSpot digital control unit. 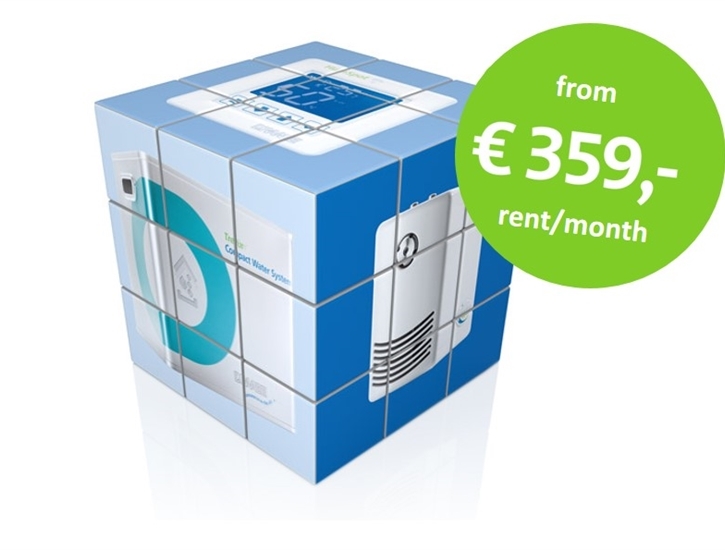 The rental price of €359 includes one humidifier and one digital control unit. All maintenance services, regular updates and a lifetime product warranty are also part of the package. Whether new installation or retrofit: DRAABE compact systems require very little space and are easy to integrate into any building with minimal effort. 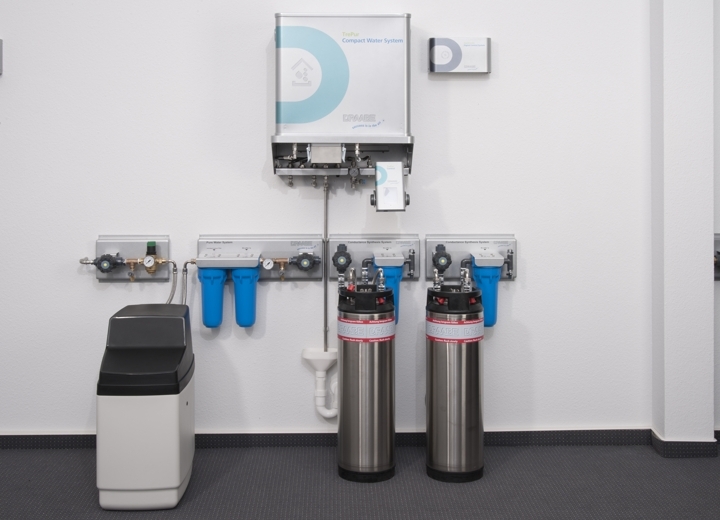 The only requirements are a mains water connection and drain, a power connection and a single payment for the installation project. DRAABE DuoPur and DRAABE TrePur are both housed in a portable, compact container. Every 6 to 8 months, you will receive a fully serviced and disinfected replacement unit. Technical improvements will be automatically installed as part of this routine maintenance work. 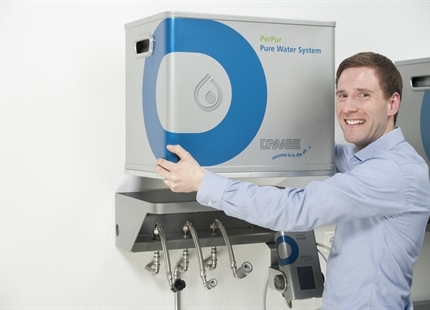 DRAABE NanoFog pure water fogging units are overhauled and replaced every two years. This preventive maintenance includes the disinfection and rinsing of all supply lines. In this way, we guarantee optimal energy consumption and maximum health protection even after many years. Do you have any questions about the complete system TrePur? We will be happy to deal with your enquiry. Micro-fine air humidification for all applications that require a quiet and discreet solution. 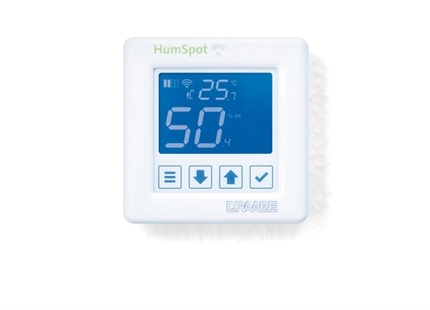 Controls the humidification of individual humidification zones with a high degree of user comfort. 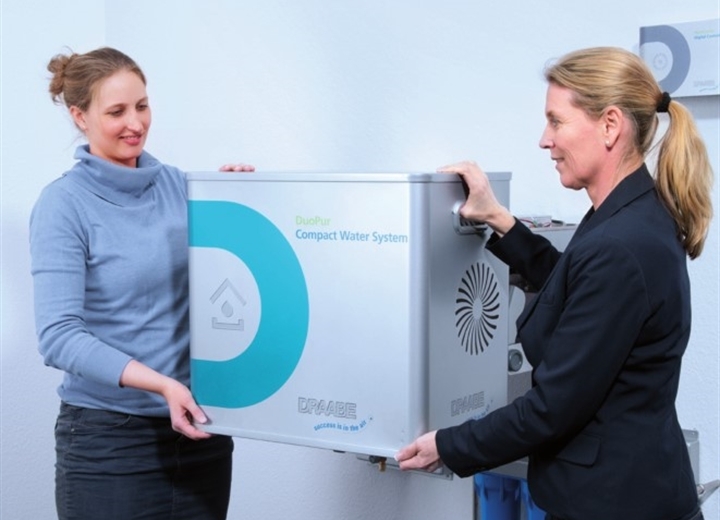 Pure water and high-pressure functions plus conductance synthesis for 100% dust-free air. The unique exchange of the DRAABE container takes maintenance off of your hands.